Add social networking to all you do now, and you’re likely looking sleep deprivation smack in the eyeball. 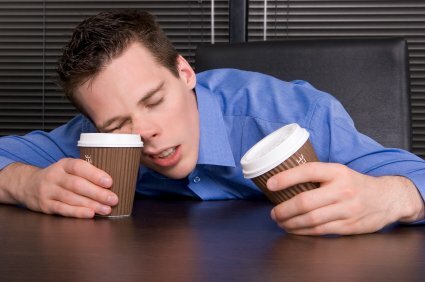 Research shows increasingly serious accidents that occur frequently through lack of sleep. Have you seen redemptive research on how sleep debt is repaid with dividends, though? 51% of the American workforce feels exhausted at work. In Harvard Health Publications I was also intrigued by the study Countering the effects of chronic sleep loss. Surprisingly more than 60% of us don’t sleep the brain’s required seven to nine hours of rest needed per night. Yikes! That loss impacts the brain’s ability to rewire itself in REM to meet demands of the coming day! So what can be done? Other than slip under oncoming buses, I mean. Luckily, there’s dynamic research to show how sleep debts can be repaid. To ward off negative effects of snooze loss, experts tell us to simply repay any outstanding slumber debts, once life quietens down a bit. How so? If you stay up too late during the week, sleep in a bit more on weekends. If last week saw you moonlighting on a few occasions, crawl under the covers early a few nights this week. But can napping makeups work over longer stretches? Let’s say October kept you awake too many hours. Can sleep loss from way back then, get repaid for a better day now? Yes, fortunately, that loss too can be made up. All to say, for mental health’s sake – why not slip a little extra shut eye into November? Could it work for you? Nice posting Keep them coming. Thanks for this great article, Ellen. How about cat naps … do they work? I pull all-nighters about 4-5 times a year, and I don’t usually crash the next day. I do however take 15-30 mn naps periodically several throughout the day and it seems to be enough to get me to normal bedtime the next day. Wow Fred, you are speaking here of the power of sleep! How exiting and what motivation to get a good night’s sleep in a busy day! The brain rewires for wonder – while we are in REM cycles! Sadly, the other side of this story is that long sleeps work against the brain too. How so? People who are depressed hit the sack and sleep for days to get up even more depressed, and to fall back into the cycle. So your story is great because you benefited from sleep to get well, but did not use it to escape what your brain was unable to cope with or face. Does that make sense? Thanks Fred – for adding a great example for this discussion! Ellen, It is deja-vu time! rummusers last blog post..Being Informal? Or Is It Rudeness? I think I experienced something today extraordinary having come off a sickness that required basically three full days of sleep. My first day back to work, I solved more problems, dealt with enormous real time issues, calculated and made speaking changes on the fly that astonished nearly my entire staff. I hadn’t experienced a day like this in 17 years. I plan to write more, but the possibility that it is related to “lack of sleep” is making me feel guilty about not going to sleep right now. I plan to write more about this tomorrow. Let’s just say, some pretty incredible things happened to me today. Did a rested three day brain make the difference? Sounds like the beginning of a great song lyric, Ellen. Bet my hubby, Carl, could choreograph some line dance steps to that when you finish it. Robyn McMasters last blog post..Happy with Your Work? And here I thought I was describing – caught myself between a wink and a wake-up holler! You caught me red-eyed, Ellen, since on the first day I was into twitter, a new social networking tool, I was addicted and up late trying to test it all out. Guess that can be the way of new things… our curiosity gets the best of us.